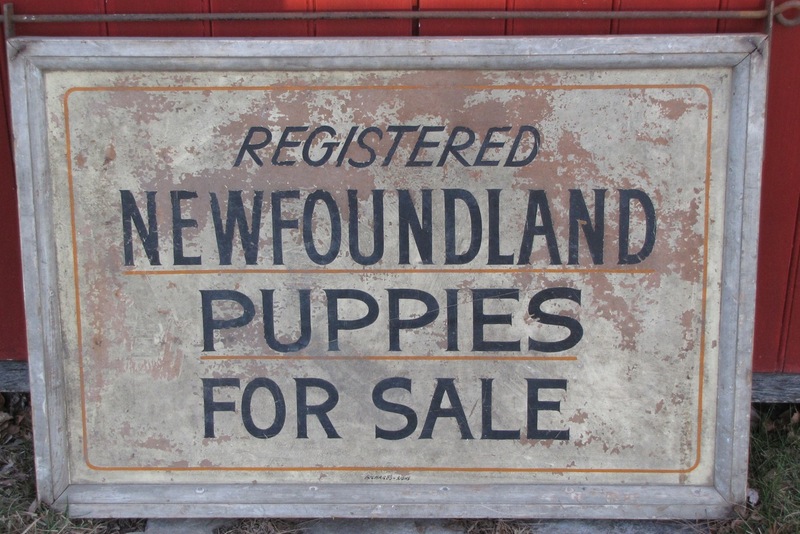 A mid twentieth century sign advertising Registered Newfoundland Puppies For Sale. 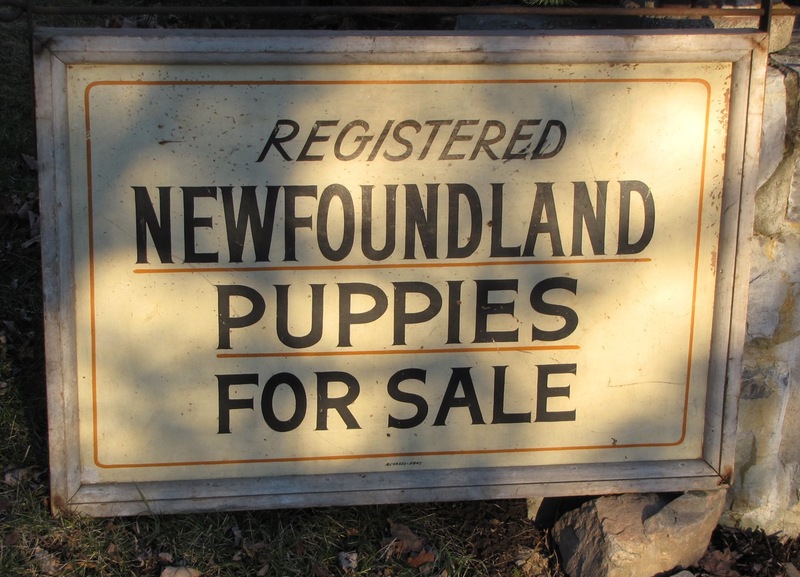 Found in upper New York State and signed "Richards Signs" by the painter. 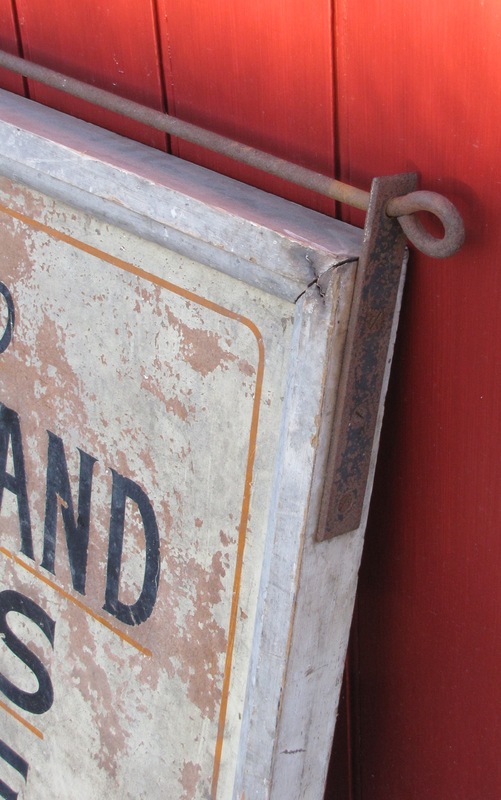 It is oil paint on board with a wooden frame and metal hanging rod (see detail). As would be expected one side shows greater sign of weathering. 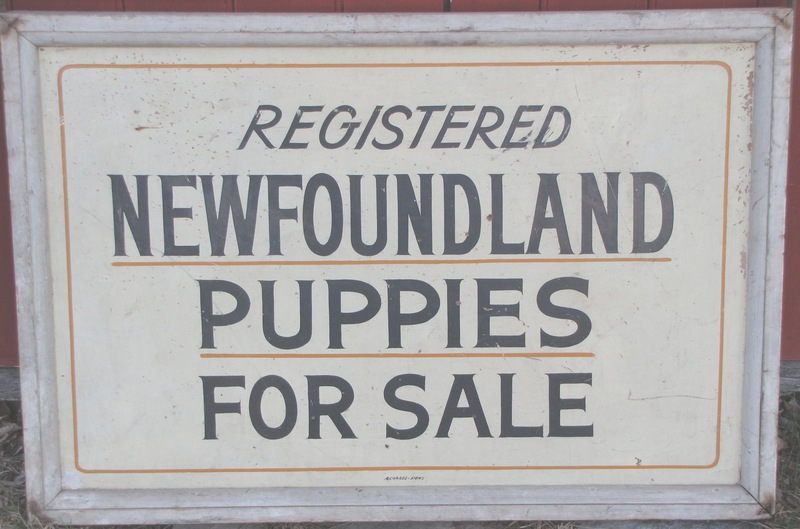 Overall size is 38" by 26".